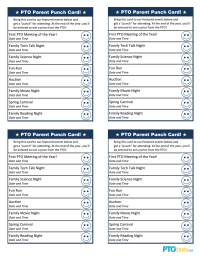 Customize this “PTO Parent Punch Card” with your group’s key events for the year to encourage attendance. 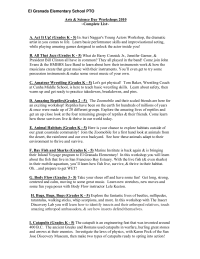 Distribute to parents in your welcome packet and encourage them to bring it to events. 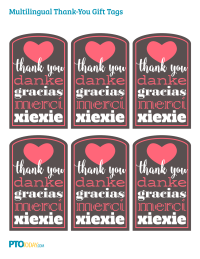 For every event they attend, give them a punch (or stamp). If they’ve “punched” all events by the end of the year, they’ll be entered to win a prize. You could even make significant events worth two punches! 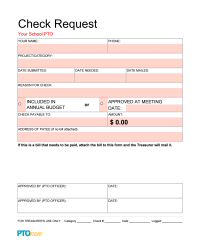 A fully editable and customizable spreadsheet form for checks needed to pay reimbursements and bills. Volunteers only need to complete the shaded areas. Part of the Treasurer's Toolkit. Downloads: 398 Members only ? 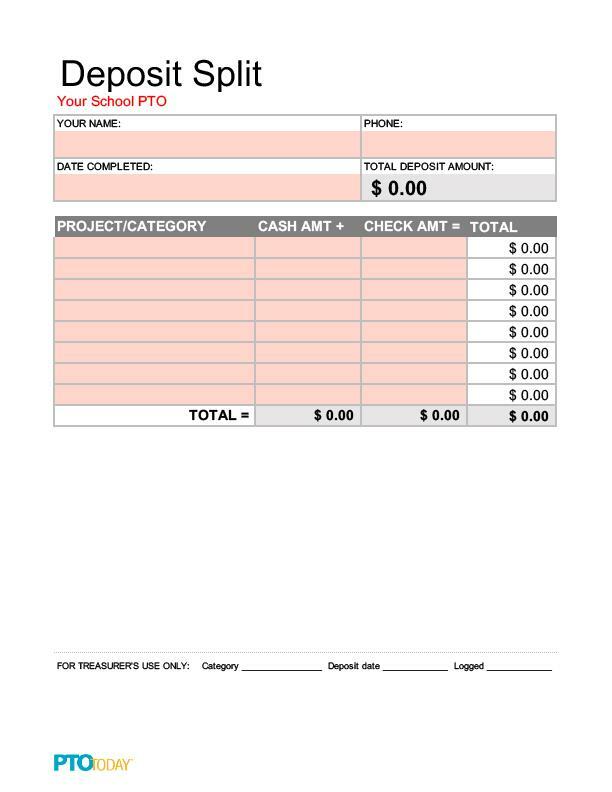 If you'll be depositing money that will be allocated to several categories in your budget, make record-keeping easier by using this fully editable and customizable spreadsheet form. It also makes it easier to verify the total cash count for a single bank deposit when the money is coming from several sources. Formulas are already filled in, so volunteers only need to complete the shaded areas. From the Treasurer's Toolkit. Downloads: 250 Members only ? A fully editable and customizable spreadsheet form to to record all non-check transactions that take money from your account. Examples include paying for a new box of checks, bounced check fees, and monthly bank account service fees. 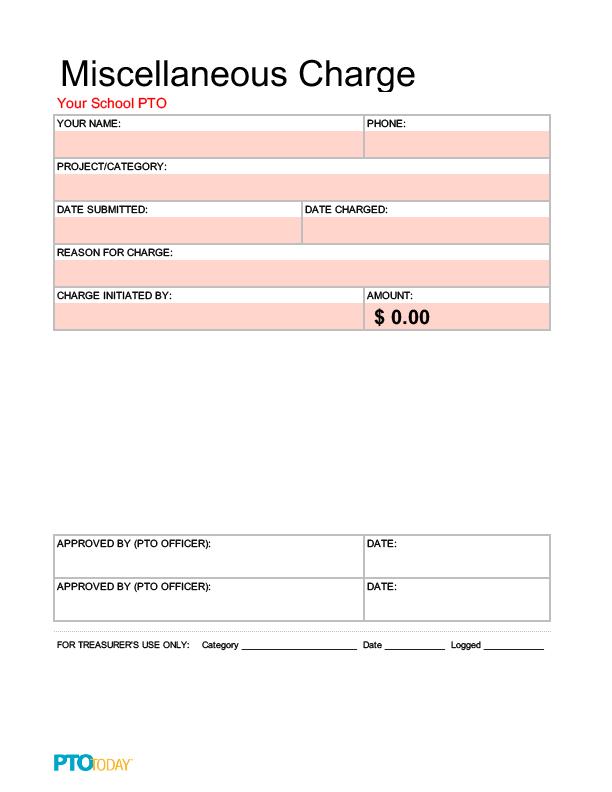 Because these charges are often known before they show up in your account, this form can also notify your group of upcoming financial activity. Volunteers only need to complete the shaded areas. From the Treasurer's Toolkit. Downloads: 239 Members only ? 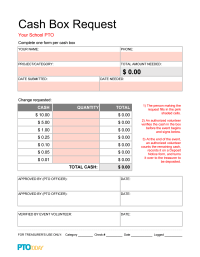 A fully editable and customizable spreadsheet form to keep track of committee chair requests for money to have on hand at an event. Formulas are already filled in, so volunteers only need to complete the shaded areas. From the Treasurer's Toolkit. 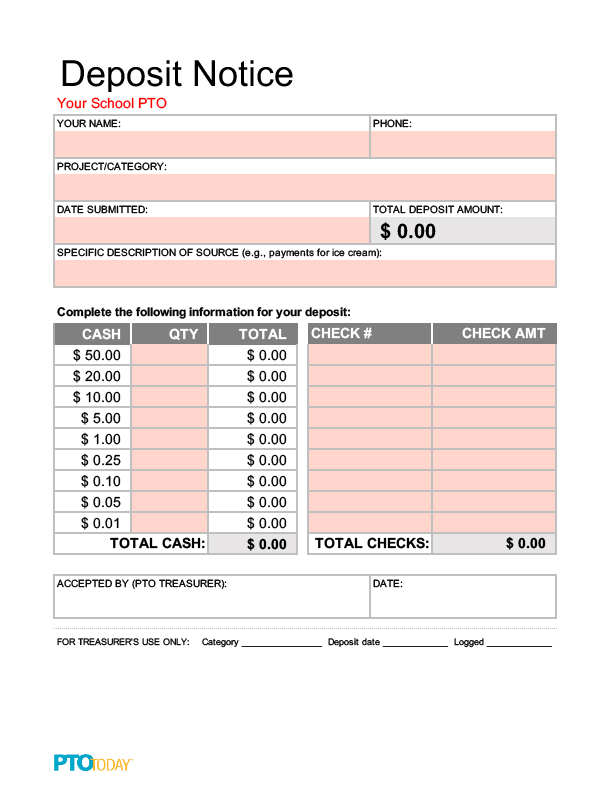 A fully editable and customizable spreadsheet form for detailing cash and checks included in a given bank deposit. Formulas are already filled in, so volunteers only need to complete the shaded areas. From the Treasurer's Toolkit. 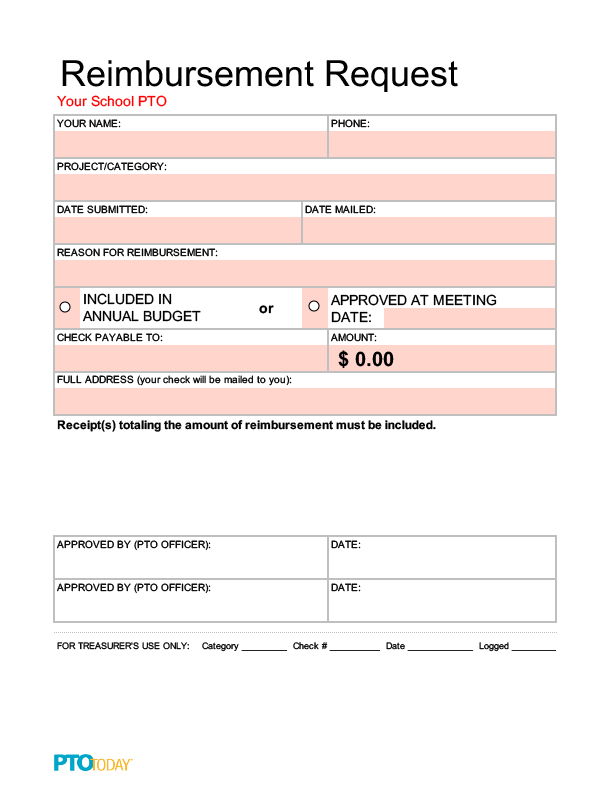 A fully editable and customizable spreadsheet form that members can use to request reimbursement for out-of-pocket expenses. Volunteers complete the shaded areas. From the Treasurer's Toolkit. 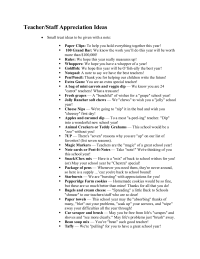 Script of a sample speech for PTOs and PTAs to deliver at back-to-school time, such as at a school open house night or welcome event for families. 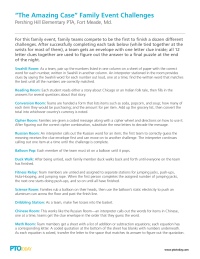 Use it as a starting point and customize the text to work for your own community. 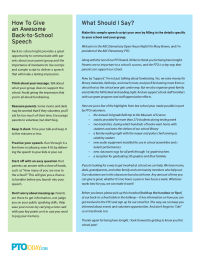 Get more back-to-school speech tips and see the script in action. "Dedicated," "supportive," and "caring" are just a few of the ways PTOs and PTAs describe themselves! This word cloud was created based on a Facebook prompt where groups were asked to describe themselves in three words. You can still weigh in with your own words, too. 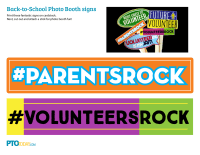 Promote your group and show potential volunteers your fun side with this selfie prop! 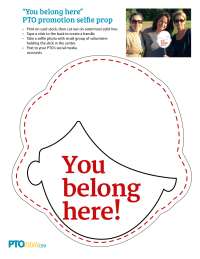 File includes a male and female version; cut out the sign and attach to a stick, then pose for a selfie with one or two other members. Don't forget to post the photo in your social channels. 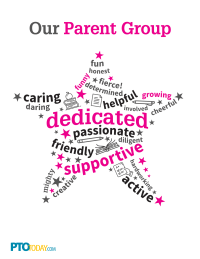 Colorful poster with descriptive word cloud to print and hang to show school pride, or to distribute to parents. 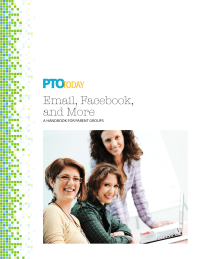 This guide for PTOs and PTAs outlines best practices for sending email, setting up accounts on Facebook/Twitter, what to include on a website, etc. Downloads: 411 Members only ? 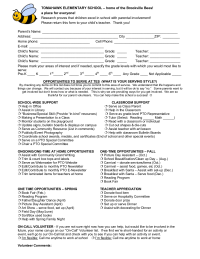 Great way to get more parents involved and volunteering. Volunteer Survey to determine areas people are "passionate" about serving in.